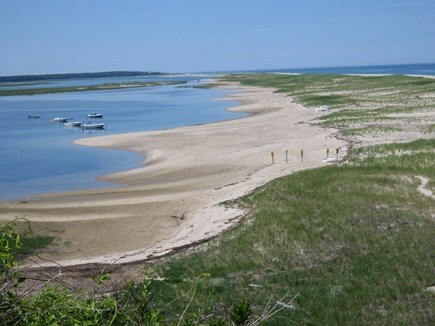 Beautiful view of Nauset Inlet and beyond. 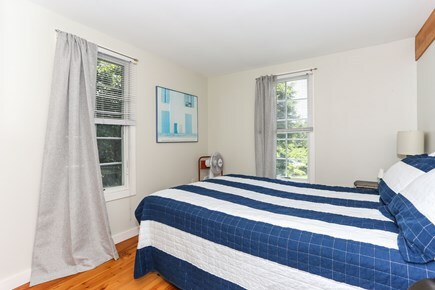 Twin bedroom on 1st floor. Double bedroom on 1st floor. 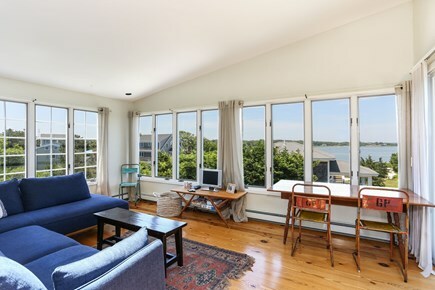 Second floor family room with water view. 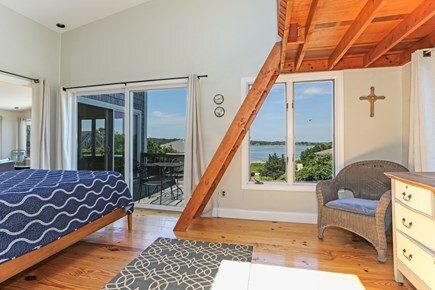 Master on 2nd floor with queen bed, loft, deck with water views. 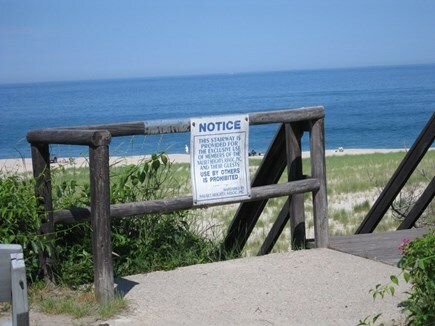 Beach stairs for Nauset Height residents. Inner beach from beach stairs. 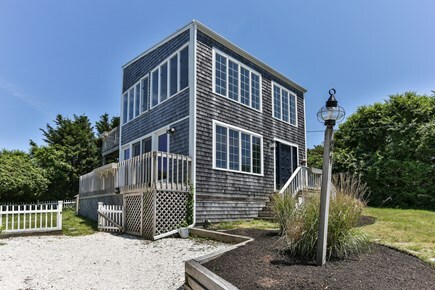 Wonderful beach property in Nauset Heights. 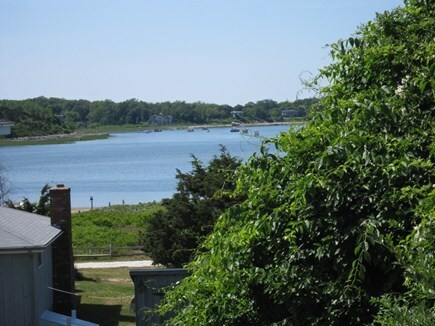 Steps to the sandy beach at Priscilla Landing and fabulous views over Nauset Inlet. 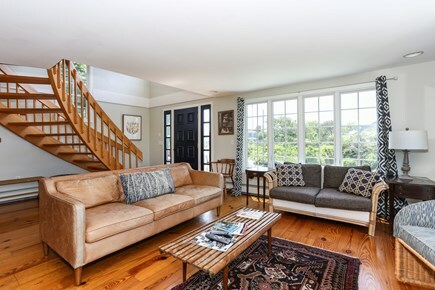 The best part...a five minute walk to private neighborhood stairs leading to gorgeous Nauset Outer Beach! 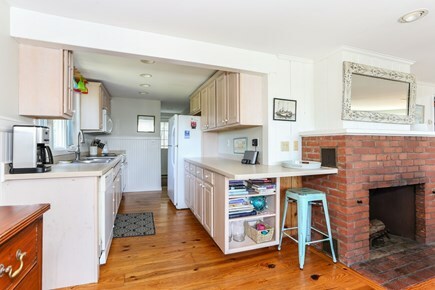 Sun-filled and bright...meticulously maintained, open and airy describe this terrific 4 bedroom, 2 bath home just waiting for you... Relax and enjoy your summer vacation! There are views everywhere, sliders to multiple decks and a family room on each level. There are 2 bedrooms and a bath on each level as well, making this a terrific home for 2 families to enjoy their vacation together. 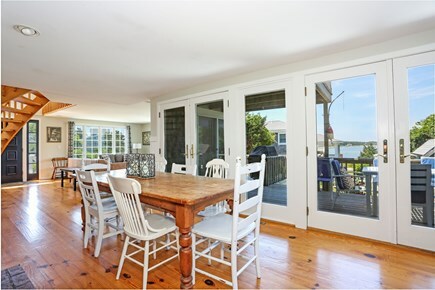 Fully equipped kitchen, master bedroom with water views and a location that can't be beat. All set in beautiful East Orleans, Spend the day at the beach, take in a ball game, play a round of gold or catch stripers in the surf. It doesn't get much better than this! Master bedroom on the second floor has a queen bed. 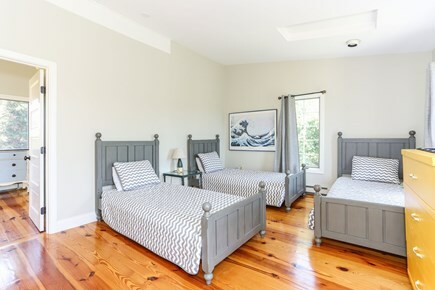 Second floor bedroom with 3 twin beds. Second floor bathroom is totally renovated with bath and shower. 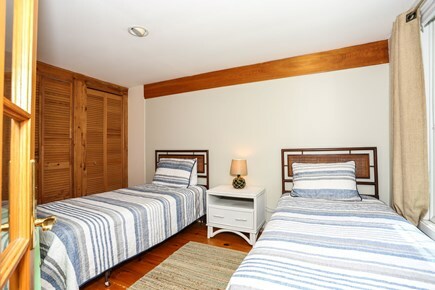 First floor bedroom with a double bed and another with 2 twin beds. Full bath on first floor. Additional pricing info: Cleaning fee of $185 per rental. Subject to state & local short term rental tax, rate TBD. State and local taxes of 12.45% will apply. The house is as shown in the photos and descriptions. The owners were nice enough to allow 9 adults and 2 very young children. All were impressed with the views and the amenities. It was cozy with all of us and we did not feel crowded. 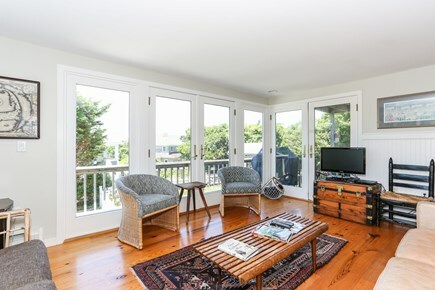 The inlet views, the abundant natural light, the fenced in yard, the closeness to the inlet beach, the walkable neighborhood, the community entrance to upper Nauset Beach.......these all added fun, beauty, and convenience. If you are bringing small children there is some baby paraphenlia and toys; they could have been in better condition. But, nothing we could not handle. Our family stayed in the home for first week of September and we had an amazing time. The house is very comfortable, with magnificent views. 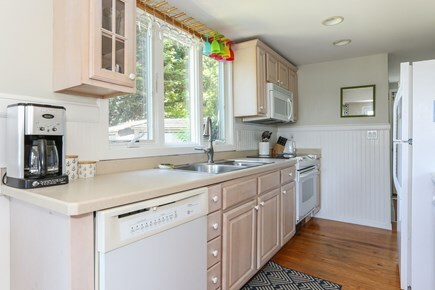 The kitchen, large dining area, and deck is perfect for large families (we had four kids!). Location is amazing, a bit of a hike down to Nauset beach, but totally worth it - private beach area and the exercise helped us pre-burn the Sunday School Ice Cream calories that followed. :) We loved our time here! Our family vacations here for 2 weeks every summer. The house is fantastic! the location is breathe taking and convenient to all the beaches. Orleans is our favorite place on Cape Cod. Look forward to being there next Summer! !